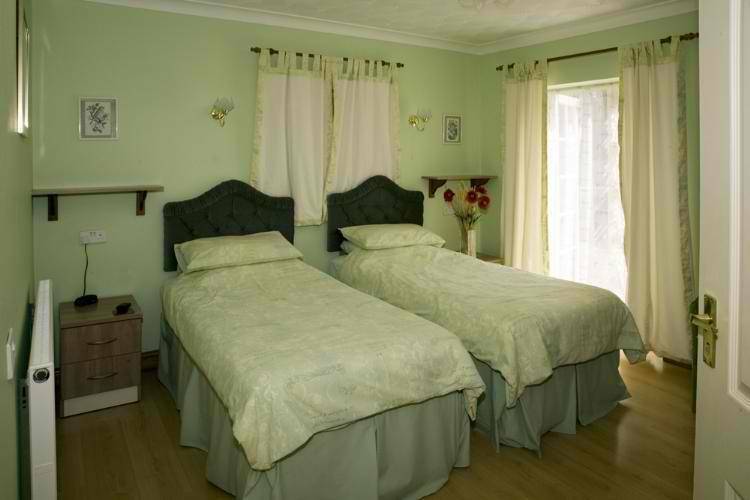 Luxury eco-friendly bed and breakfast accommodation in a peaceful, rural location near Cardiff, the vibrant capital city of Wales. 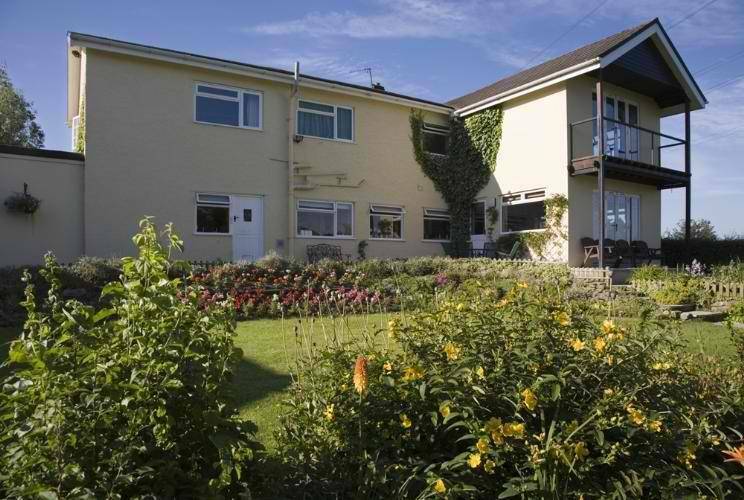 Our 4 star guest house Bryn-y-Ddafad (the Hill of the Sheep) nestle in the picturesque countryside of the Vale of Glamorgan close to Cardiff, the vibrant Capital of Wales, the historic town of Cowbridge is less than 3 miles away. The accommodation we offer is tastefully decorated, light and airy, centrally heated, strictly non-smoking, pet free and immaculately clean. Guests in the main house may choose to relax in either our first floor residents' lounge or the sun lounge directly below. The first floor lounge has a balcony overlooking the rear garden and pond. 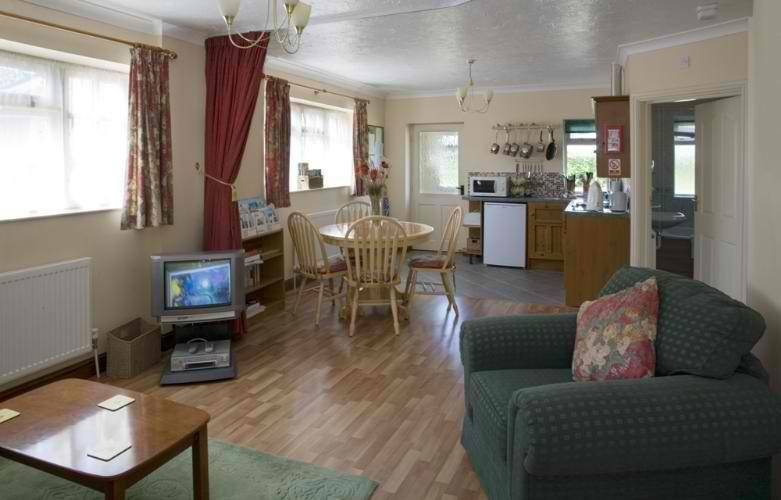 This room has a television, beverage tray and extensive tourist information. Internal access to the sun lounge is from the first floor lounge via the spiral staircase. For those guests not wishing to use the spiral staircase alternative access is available via our private ground floor lounge. The sun lounge has a door leading directly to the patio and rear garden of the house and cottage. Within the garden are a pond and and natural stream. 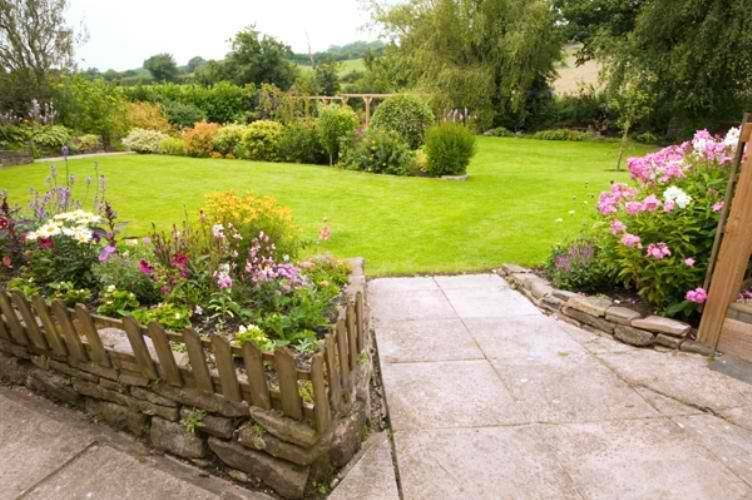 The small courtyard garden can be accessed from the parking area to the front of the house. Guests are welcome to relax and enjoy all parts of the garden, ample seating is provided in all areas. For walkers, golfers and cyclists staying both in the house and in Y Bwthyn Bach we offer secure storage facilities for bicycles, golf clubs etc and clothes drying facilities.